What if there were a boat you really wanted to cruise on that was also easy on the environment—and your pocketbook? So much has been written and said about “green technology” in general, and on boats, that it’s getting hard to sort out the hyperbole from the reality. 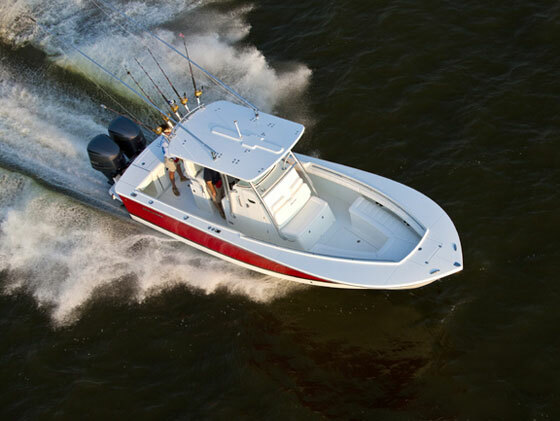 But I recently stepped aboard the real deal at the Annapolis Powerboat Show when I toured, and briefly sea-trialed the Greenline 33, which is making its debut here in the Americas, courtesy of TUI Marine. The Greenline 33 has lots of green technology, all integrated into a boat that you would actually want to own and cruise. 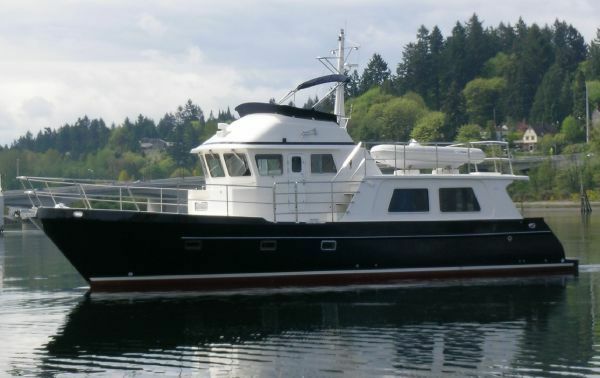 This boat has it all – solar panels, high-tech lithium polymer batteries, and a state-of-the art marine diesel with a combination generator/electric motor. 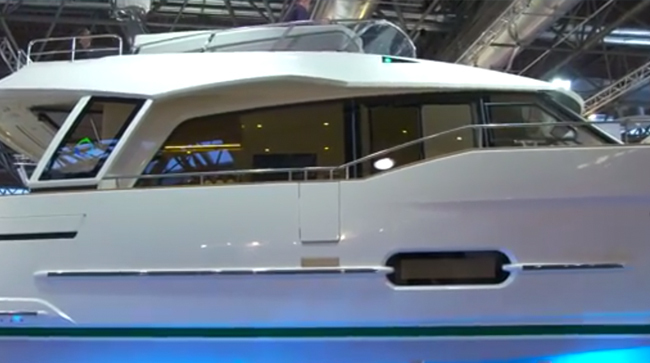 The most important thing about the Greenline 33, however, is how it’s all integrated, and installed aboard a boat that you would actually want to own and cruise. 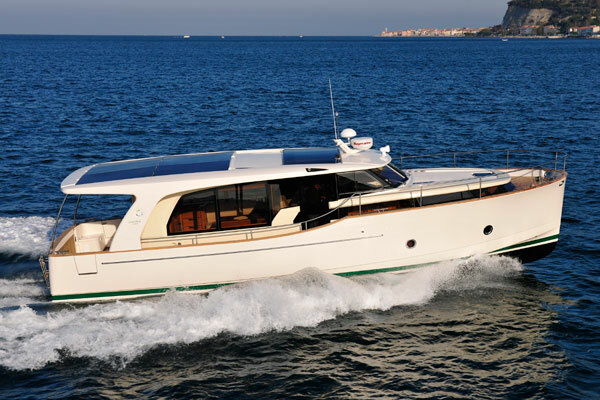 Since its introduction in Europe last year, the Greenline 33 has been selling extremely well. Jakopin says they surveyed potential boaters to find out why they weren’t getting in. “We saw comments like, ‘the boats are too expensive, they are full of problems, they leak, they rust, they don’t work and they are uncomfortable’.” And he is sympathetic. “I pay a lot of money for my boat and I’m living like a Scout on a thin mattress and it’s uncomfortable. After a couple of days I want to go to a hotel to get comfortable,” he jokes. So the design task became to build an extremely efficient boat that was both affordable and comfortable. 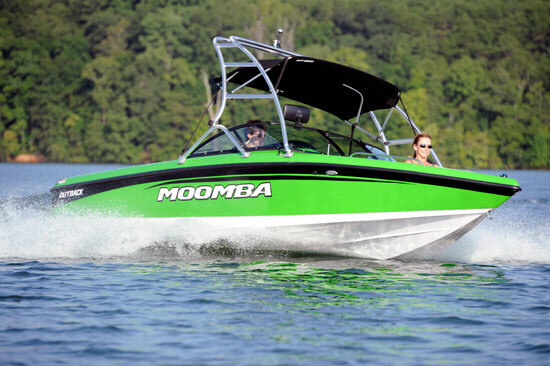 Since its introduction last year in Europe, the boat has been selling extremely well. As a cruising boat, the Greenline 33 will be perfect for a couple with either occasional guests or young kids who can sleep in the convertible salon sofas. With its hybrid solar-diesel power sources, it can achieve a range approaching 1,000 miles at slower cruise speeds of around 7 knots. 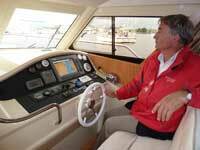 Even just using the diesel, it will only burn about 1 gallon of fuel per hour at 7 knots, giving a range of 700 miles. Add the extra range from the electric system and you can run up against that 1,000 mile mark. In practical terms, it probably means a full season on one tank of fuel for the average boater. Or a tank and a half to cruise down the ICW to Florida from the Northeast U.S.
A narrow side deck provides access to the bow. The helmsman has a simple system to manage. He chooses either Electric or Diesel. 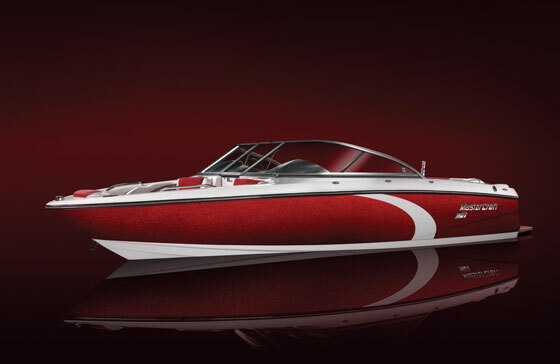 In Electric mode, the batteries power the electric motor, which can drive the boat as fast as 6 knots. At 4 knots, a fully charged battery array will provide about 20 miles of range. 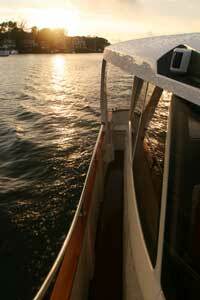 In Diesel mode, the standard VW Marine SDI 75-5 drives the boat through a gearbox and also drives the generator. Top speed is around 10 knots for the standard diesel, although an optional turbocharged version, the TDI 165-5, is available and will push the boat up to 15 knots.Much of the in-water efficiency of the boat derives from the unique hull, which designer Jakopin says is optimized for between 1 and 2 times theoretical hull speed. 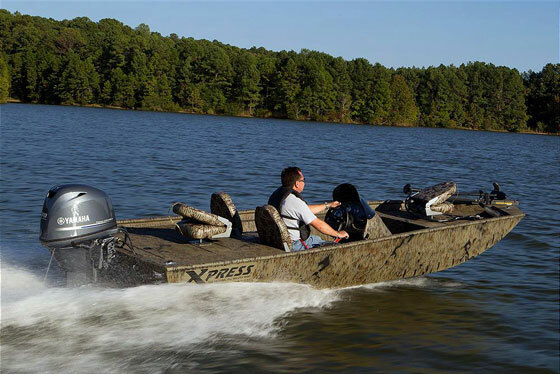 Normally, a displacement hull is efficiency-limited to a specific speed determined by the length of the hull, while planing hulls (which get up on top of the surface of the water) can be optimized for 2 to 4 times normal displacement hull speed. Aside from its efficiency and green attributes, the Greenline 33 strikes me as a truly liveable cruiser. The large cockpit features a fold-down transom that serves as a huge swim platform and boarding step. It can even be run in the down position if seas are calm. The salon is a combination of bright and airy, with features that just make sense – like the settees both to starboard and port, with a table in the middle that has fold-down leaves to easy passing fore and aft. Unlike so many salons, the table makes it easy to use the space for dining, playing games, or serving drinks. The galley counter folds out when the bulkhead glass panel is lifted, making for luxurious indoor-outdoor living. 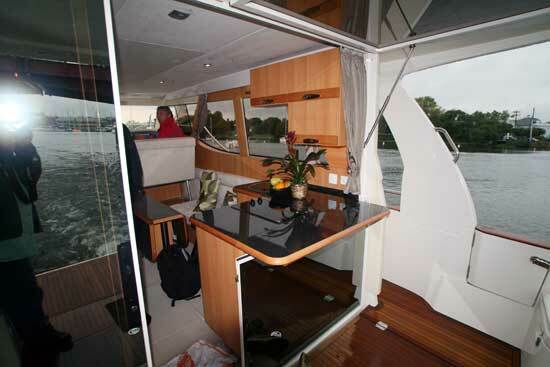 The galley is aft on the starboard side and features a counter along the aft bulkhead that folds out when the bulkhead glass panel is lifted on a gas strut, making for luxurious indoor-outdoor living. Forward on the starboard side is the helm, with a curvy, modern dash that has enough room for one good-sized chartplotter or display, along with several smaller ones. The helm bench seat converts to become part of the settee behind it when the boat is at anchor or moored. Forward on the port side are two steps down to the stateroom and head compartment. 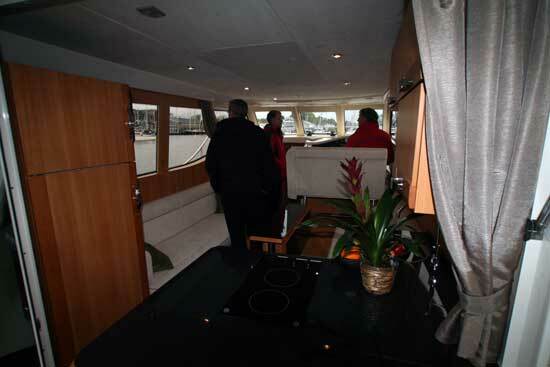 There are standard-size twin berths in a vee that when combined with a special section make up a full-sized bed. Garth Hichens takes a turn at the wheel. 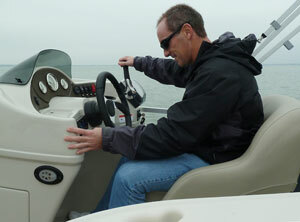 Hichens also likes the ease of troubleshooting and maintenance on the high-tech VW marine diesel. “The tech just plugs in a laptop and it tells him exactly what is going on. No fiddling with stuff for hours of troubleshooting,” says Hichens. There’s an awful lot to like about this boat, including the price, which will get you the hybrid boat with the standard engine for well under $300,000. 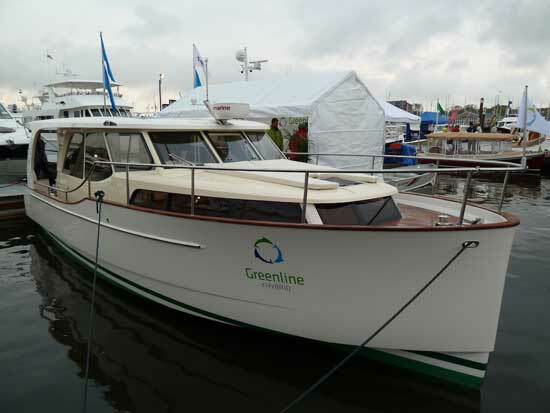 If you can’t get to Annapolis in the meantime, TUI Marine will have a Greenline 33 at the Miami Boat Show in February. Tom Tripp is the publisher of www.OceanLines.biz, a website about passagemaking boats and information. He is also a contributor to Chesapeake Bay Magazine who has been at sea aboard everything from a 17-foot homemade wooden fishing boat to a 1,000-foot-long, 96,000-ton, nuclear-powered aircraft carrier.